Earlier this season Mayo hit a career high of 40 points in a single game, with a game average of just under 17 shots. He holds the program’s record for career blocks, has already reached no.2 on the school’s all-time scoring list and is likely to take the top spot within the next few games. This doesn’t come as a surprise to those of us back in Mayo’s hometown. Mayo, his parents Scott and Jenn, and his sisters Kelsey and Mackenzie called Belgrade home while he was growing up. His parents and younger sister now make their home in Oakland. All three kids attended RSU 18 and played sports in the district. Mayo grew 5 inches coming into his sophomore high school season, and according to Coach McLaughlin his work ethic grew with his frame. He started having an even bigger impact on the court and during his junior and senior year, college coaches from across the country started to really take notice. Mayo received interest from over 30 Division 1 and 2 schools, and for good reason according to McLaughlin. Mayo’s awards and stats speak for themselves, but they aren’t all he brings to the court. McLaughlin describes him as the glue that held the teams together during high school. 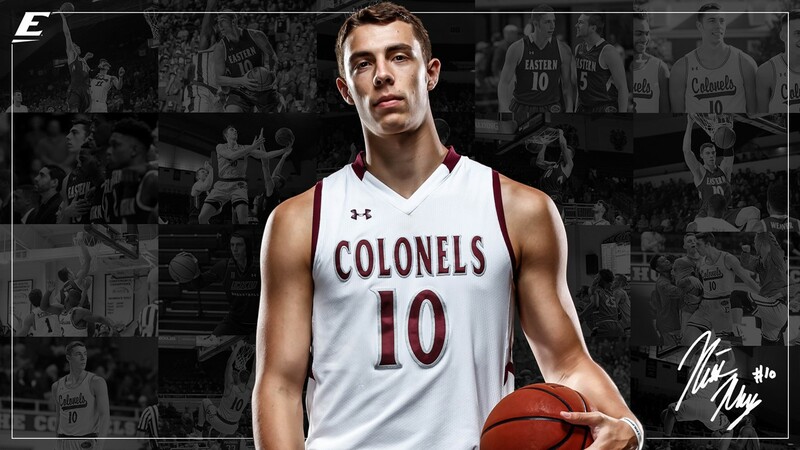 The now 6’9″ forward has been named to the All-Ohio Valley Conference first team after each of his first three seasons, regularly breaks school and personal records, and still has a humble attitude. In interviews, Mayo is always quick to point out that he’s not alone on the court and always gives his teammates and coaches credit and praise.